Coastal Maharashtra is in transition. Growing coastal tourism and allied developmental activities along southern Maharashtra coast needs integration of various stakeholders to address the various issues and concerns. Integrated Coastal Zone Management (ICZM), which can cater to the needs of people while preserving the environment is thus need of the hour. The effects on natural resources, including water, will change the socioeconomic as well as the cultural fabric of coastal communities. This chapter explores a holistic approach to the developmental issues and the impact of climate change on the coastal region with specific cases of villages of Devbag and Tarkarli, coastal Maharashtra, India. It explores both physical and socioeconomic landscapes with special attention given to water resources in the context of changing dynamics of coastal communities and coastal tourism. The chapter discusses the issues and concerns of villages of Devbag and Tarkarli and proposes solutions for a sustainable development. The coast is the place where sea and land meet. It is a unique feature with properties that connect both lithosphere and hydrosphere. This interface is represented on geographic maps as a coastline. This interface is a dynamic system with varying size, boundaries and shape that are constantly under state of change due to natural as well as anthropogenic forces. At beaches, marshes, mangroves, wetlands, coral reefs, these changes are more pronounced, at rocky shores are more resistant to change. These forces influence the coastal area so profoundly that in dealing with a number of practical and scientific problems one needs to consider the adjoining features such as a whole catchment basin of the river or creek along with the coastline. The importance of preserving the coastal zone is critical in maintaining the balance of coastal ecosystem as well as preserving the livelihood of communities residing near coastal zone. Most of these communities traditionally rely on fishing for their livelihood. Beaches have recently attracted the attention of the tourism industry and these days compete with traditional fishing in terms of provision of livelihood among coastal communities. This budding tourism is proving to both boon and bane for these communities. On one hand it provides necessary livelihood options on the other it is putting tremendous constraints on resources mainly drinking water. Integrated coastal zone management is thus need of the hour, which can cater to the needs of people while preserving the environment. The coast is not only under threat by anthropogenic activities mainly through tourism, but natural forces are also at play, which poses a threat to its delicate balance. In light of the threat of climate change coasts are especially vulnerable to sea level change. Coastal areas all over the world are being subjected to high human pressures, which hold implications for local people from the hinterlands to coastal areas; this migration is continuing into the 21st Century with coastal zones developing into major attractions for living and working. Almost 40% of the world's population live within 100 Km of a coastline, a land type that accounts for only 22% of the earth's landmass (WRI 2000). This trend is the product not only of population growth, but also urbanization. World Resources 2000-2001 sounds the alarm bell with regard to the state of the world's ecosystems as do various reports of the Group of Experts on the Scientific Aspects of Marine Pollution over the last 20 years (GESAMP 1990). The Intergovernmental Oceanographic Commission (IOC) of UNESCO organized an event centered on the outcomes of Ocean and Climate forum and Oceans ay at COP21. The event was a collective deliberations of UNFCCC negotiators and decision makers. The event deliberations include major ocean and climate issues along with special emphasis on most vulnerable communities and ecosystems. The participants laid out clear recommendations including; adaptation of stringent reductions in CO2 emissions to avoid disastrous consequences on coastal and island communities, ecosystems. It recommended that temperature increase to be restricted to less than 2°C, It is proposed to incorporate oceans into the text of the Paris agreement. 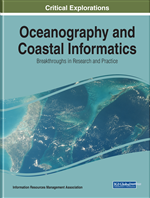 It suggests the implementation of ecosystem-based adaptation strategies through integrated coastal and ocean management institutions at national, regional, and local levels. The stakeholders need to be encouraged to develop and support measures to address the issues associated with the displacement of coastal and island populations as a result of climate change. Global finance mechanisms need to be formulated for catering adaptation and mitigation efforts in coastal communities. Encourage capacity building in coastal communities. It also advocated expansion of outreach programs and education or awareness efforts (IOC, 2015). In this context, significant researches are happening at various levels in terms of education for sustainable development in business schools (Rao et al., 2013; Rao et al., 2015), climate resilience in natural ecosystems (Rao & Patil, 2015) and smart methods/models for waste management in the era of climate change (Patil & Rao, 2015a; Patil & Rao, 2015b).